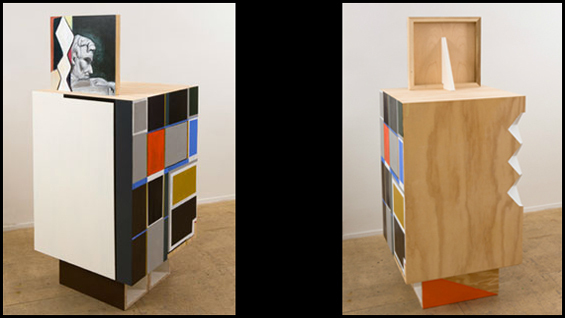 Pam Lins, "Lincoln Bookend Obstruction", 2010. Works by ten sculptors underscore the poetic potential of objects, materials, and modes of arrangement, while conjuring the possibility of larger narrative and metaphorical structures. The exhibition is a sustained attempt to create a space where straightforward logic doesn’t always win, where simple moments can seem pronounced and exquisite, and where the discovery of meaning depends on our speculative engagement.